And what to do to fix the problem…..
Auto transport as an industry is a disaster to say the least. There is so much that goes on in this industry that it’s nearly impossible to cover all of it. But we’re here to cover what’s wrong with things that involve getting straight answers, why everyone has different pricing, and why nobody can tell you when exactly your car will get picked up. Also, how to avoid getting burned. Like most people, if you’ve never shipped to car before you think it should be relatively simple. Before knowing anything about the industry your biggest worry is if someone’s going to damage your car. Wondering if they’re even going to show up to do it would probably be the last thing on your radar being new to doing this. You expect to call somebody, they give you a price, tell you they have plenty of insurance,and the car gets picked up when they said so with delivery when they say you will have it. Why can’t it be this simple? That ambitious guy or gal on the line has one job to do and that is to get you to book with them. You may have special instructions or days that you need, but they unfortunately might be taken very lightly or not even noted on your order. They booked you and got a deposit. It’s done. Welcome to being stuck with your auto transporter. After that customer service is nonexistent. You don’t know when they’re coming, why answers are vague or why “tomorrow“ comes and goes over and over again. But wait.. Stop for a second and back up. How is this possible? Where are the rules? The regulations? Why can they tell me whatever they want and not have to follow through with anything? Yet the credit card has been charged and now nobody answers the phone because they are late and I’m waiting! Why is this all going wrong? The DOT in the FMCSA are interested in basically three things. The first thing is safety. The word safety is in the acronym FMCSA because it stands for the Federal motor carrier safety administration. Carriers are required to meet certain guidelines. Weight regulations, equipment regulations, pretty much making sure that the truck loaded with all these cars is not going to be too heavy to stop, improperly loaded, or has or does anything where it becomes a danger to others on the road. In short, make sure these truckers are not going to kill themselves or anybody else while in transit. The next thing that the FMCSA and DOT care about is insurance. Carriers must be insured. The minimum insurance required for a commercial carrier is $750,000. Most policies are about $1 million. That’s some sort of consumer protection because at least you know if your car blows up in a fiery ball and is completely destroyed, you will be covered. And lastly, are auto transport brokers and people hiring these truckers paying them? An Auto Transport broker needs to be bonded to broker cars to carriers. This bond is not intended to protect any customers ordering with them. The bond is just to make sure that if a broker agrees to pay to pay their carrier after they’ve collected from you, that they actually do so I am not squander the money. Either they pay or they could have a claim on that bond and their premium increases astronomically potentially putting them out of business. The truckers also protected from people dealing with them directly and not paying them. They are allowed to hold vehicle, and have a decent amount of authority to charge hundreds per day if you do not pay them to deliver. There you have it. Those are the three things. With that means is that as far as regulation for how the service is sold is pretty much left in the air. Basic consumer protection laws are all that protect you so there are no specific requirements bad transport companies have to be accountable for.. Meaning you have the right to dispute the credit card charge, report them to the attorney general, etc. Of course you can leave a bad review on their Google, Facebook, Angies list, Yelp, etc for people to see. That’s pretty much the extent you can go to. Warn others. That is unless they close up shop and reopen under another name to do it all over again. (Yes, that’s absolutely happens.) But that still didn’t solve anything for you as the vehicle is still just sitting there and you are stuck. You could have missed a flight, or be at your current location without a car and having to rent one. We hear about this stuff all the time. Thankfully because now everything is so interconnected online and a lot of effort goes into making a website that is actually even considered by Google to be something worth listing on their first page, so it is getting better. That and review sites will light up with complaints. But anyone can still pay for ads. You know, the little ads on the top of search? Those are paid and don’t discriminate. Someone can close up and open a new company, being able to place ads right away. But even Google natural/organic search results on this topic are not perfect. For example, there are three big websites that are consistently ranked on the top 10 for anything Auto transport and car shipping related. It’s actually very impressive the massive amount of traffic that is out there for this service. However, you might be surprised to see that only one of those three is a real auto transport company. The other two don’t even sell the service. They just simply sell the information you enter as a lead to dozens of small time brokers that ride on the reputation of the lead provider. So when you’re filling in your information and you see that it was one of the top results, very well organized website, lots of information, it was nothing more than a lead capture website! Read auto transporters won’t stop calling for details on this. However, for the most part if there is a company with a very large website that has several articles about shipping cars, discussing topics almost daily, naturally shows up on a search results, then it’s a very legitimate and established company. those are indicators that we are here to stay and care about their reputation. That is, aside from whatever reviews you might find on them. Every company says different things.. “We can be there within a couple of days”. Or, “It takes up to five days to pick up your vehicle in this area.“ That can be very frustrating to most people. Why is the date such a mystery? Why is pricing all over the place? Everybody that is more expensive says that the price you got from the low and they will probably charge you more later. Then the guy that is too low will say I am being ripped off. So on top of that everybody talks trash about each other. What kind of business is this? The fact is that 99% of all trucking is run by owner operated companies. That means it’s a small carrier that has a at most couple of trucks which specialize in a certain area. Thanks to load boards, the abundance of brokers, and how many cars have to be moved daily everywhere in the country, carriers don’t need to worry about advertising. In fact there is not enough of them to go around to cover all the business that there is in auto transport. Which means then the way you get to a carrier is through a broker. The carriers don’t want to hear from customers directly. They want to pick and choose what vehicles they want to get from a nice list of cars that’s available to them on their phone or computer. Imagine being able to just pick money from the tree, and this is what carriers do. Because of this system, the trucker sets the price. The dispatch board give brokers a list of prices the truckers have accepted for cars similar to the one they are shipping for you, in and out of the areas that you were coming from and going to. 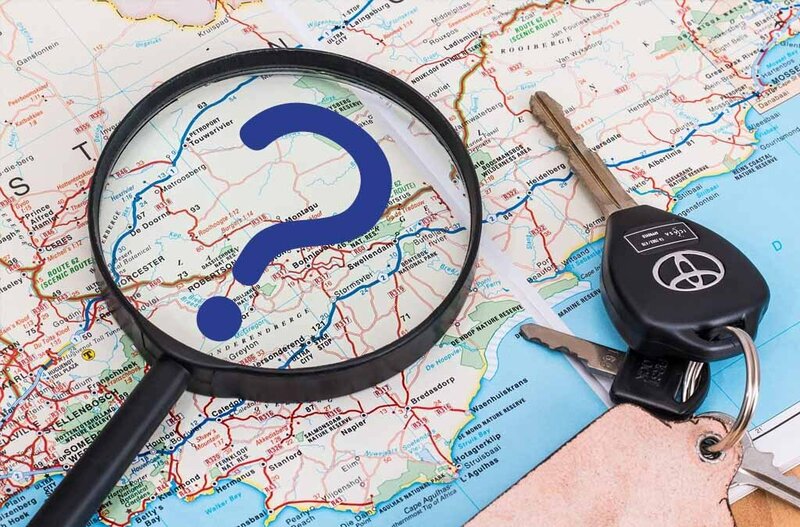 It is the broker’s job to review those previous transports and judge how close or how far they were two major highways, cities, and other populated areas in comparison to yours. So if your vehicle is located a little bit further away from convenient highways or a mountainous pricing will be more expensive. Or maybe not! At times, the truck driver may not care and just wants to make a set amount that he has in mind already based on what he has also seen himself on those boards. So the fact remains that this is always going to be some sort of guessing game. Tip: Part of it eliminates the guessing game is when a company has a very good network of carriers they work with. In these cases they will already know the pricing for specific areas that are carrier will charge them because they’ve use the same carrier several times. The auto transport company is a preferred client of the carrier. Not only does the broker have to give their best estimate or gas as to what it will cost to ship your car and still make a small profit, they have to also consider what prices you maybe getting as you begin to contact different companies for rates. The least ethical of these will simply “you the lowest comparable price they see with the full understanding that they probably will have to raise it on you later but thankfully they can because they got a deposit from you. This may start to sound familiar if you have already gone through this. Let’s say a vehicle coming from Phoenix, AZ to Los Angeles, CA. Is a straight shot through I 10 all the way. As you can see from the map, it’s relatively a perfect route for a truck. But if that vehicle which is coming from maybe Chandler and going to Temecula? Well that is a few highways more away from each pick up and drop off from good old cozy I-10. In fact both locations are 371 miles away from each other, just not at the ideal epicenters of traffic for truckers. The Maps app threw out several options to pick from because there is no best direct way from one to the other. Have you even ever heard of Temecula? That makes the Los Angeles to Phoenix comparable price is not all that accurate. Plus that was just one truck so the broker should look again and see what others have moved under similar circumstances for that price. Experienced brokers do this in seconds because they’re used to looking at the maps and know all the highways. It’s amazing what you hear. It has become almost like a culture in the broker side of the industry to trash talk everyone and scare you into going with their service. Where otrying to win over the person with what you do and how you do it is not even part of their pitch. It is absurd. You will hear things like how they know the company that you tried to book with, and how customers come screaming back to them telling them that it was the worst thing that ever did. You won’t be surprised to know that 99 out of 100 times that will be a complete lie. They have never heard of the company you were talking about. Other things like “oh is that company in Florida? Never trust Florida auto transport companies.“ That’s easy to say when you’re the only one that’s NOT in Florida. The reason there are so many shippers here in FL is because it is the most popular state for shipping cars. Whether it’s to, or from, or within. South Florida is obsessed with vehicles. Where in other states, you see older cars on the road. It’s very rare that you’ll see anything older than 10 years old on the road. It’s just the culture of the state. Plus the tropical weather happens to ruin vehicles very easily. Regardless, it’s just one example of some of the garbage that is said between transport companies. The best advice? If negative campaigns are what keep the company afloat, perhaps there’s not much there for then to offer you. So now you understand a little bit of how it works. But don’t be intimidated just because you know the backend work that goes into your booking and how many companies don’t even know what the exact pricing is. Companies that have been around for a while and have a historical database of shipping cars, associations with carriers they’ve worked with for years, and just plain old experience will price things properly. Even if it’s not the bargain price you got from the other guy, A good transporter will gladly pass on that customer to be absolutely sure they’re not going to have an angry one later. That is the key to choosing a good auto transport company and that is why you always here to never go with the lowest price. If someone tells you they will be there exactly tomorrow and exactly 3 days later they are full of it. There’s no way to predict that. You have 10 vehicles. Not only that you have 10 different sets of people that the carrier has to interact with not once but twice. The car has to be ready, payment has to be ready at delivery for the COD. Sales guy says that he can guarantee those dates? Get outta Here! The only real way to Rush a pick up is to pay an expedited Ray where (now you have learned how pricing works) you are paying over the preferred amount of the carrier would normally want to receive for a vehicle going to a certain destination. Meaning, they will make sure they get your car first because you’re paying them extra money. Even then, if there is just simply no one in the area at that specific time will that actually happened the very next day. California to Florida? Florida to New York? Texas to California? High chance. Montana to North Dakota, you can pay triple, it’s not gonna happen next day. If the decent looking companies with good reviews are all quoting around a certain amount of money that’s within 100 or so dollars, that is your price. Period. Not the $295 random price you got from the Kmart of auto shipping website that looks like it was made in 1994 when you had your angelfire account. It’s normal to want to move on to someone new, demand a refund and continue to a new company. Be absolutely sure you have cancelled with the one that failed you. Don’t double book. Let the salesperson know from the trustworthy company if your vehicle was with another company so they can check to see if it is still listed. Vehicles on the boards from more than one company are ignored by truck drivers because they worry that if they accept the vehicle it will be already picked up by the time they get there. We really do put a lot of effort into the national express auto transfer blog. We try to avoid generic topics and give insightful information. We really do hope that our post today helps you make a better choice and have better understanding of how your car shipped. Unlike other auto transport lives, we have our comments open below. Please feel free to leave one. The post Why The Auto Transport Company You Picked Sucked appeared first on National Express Auto Transport. Sanna Maksoi Lainastaan Ylimääräistä 597€ Joka Kuukausi! Lainojen Vertailu Toi Helpotuksen! Saulille Joustava Laina Tuli Tosi Tarpeeseen. Sauli Nosti Heti! Miten Johannes Oppi Hakemaan Halpaa Lainaa – Ja Säästämään?